After all those Charcoal drawings it was time for a “detailed” drawing with graphite. 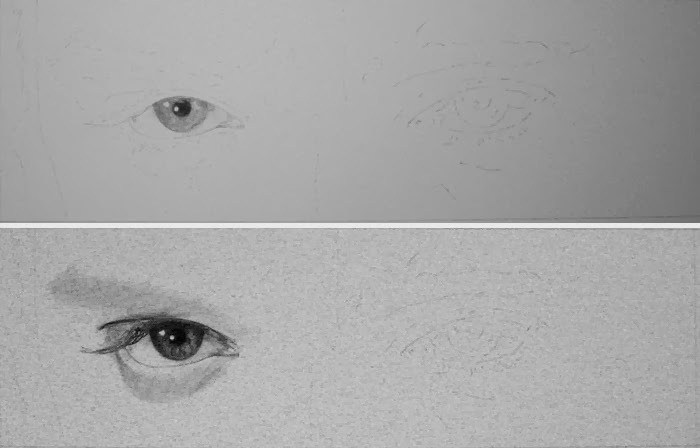 A study of Elvis’ eyes. Below are a few “Work in Progress” images. The Eyes of the King.